It was a double celebration last night as Macphie lifted two awards at separate events last night (Thursday). 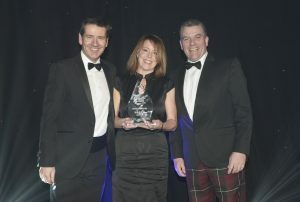 The Aberdeenshire-based food ingredient manufacturer was recognised as employer of the year at the Scottish Rural Awards in Edinburgh, as well as lifting an award for one of its newest products at the North East Scotland Food Awards in Aberdeen. 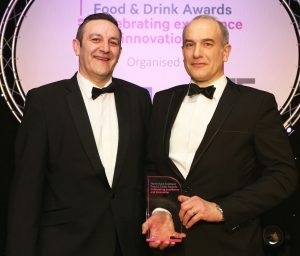 From left Ronnie Kelman, business director at sponsor ESS presents Macphie Operations Director Neil Freckingham with Best Foodservice Product award at the ONE North East Scotland Food and Drink Awards at the Ardoe House Hotel.